Now we’ve brought our energy to an elevated place where we get to choose what we do — or not do. This is where the juices of our life really get cooking! Depending on how we utilize our naturally-given energies, in which direction we place them, develop them, and choose to focus them — this determines the outcome of our life. Whether we’re happy about it or not. First, let me say this: at any time in the course of our lives if we determine we’re not happy about where we’re at — it’s the third chakra (the subject of this week’s exploration here on LordFlea) that gives us the personal power so we can change. How? By being aware of the fact that we’re not happy. Then, we simply decide to change. This is not so simple for some people. Change. But wanting to change is the starting point. So how does the 3rd chakra energy work? After our survival instinct (which is the staying alive energy of the 1st chakra), we start to feel this way or that (2nd chakra energy, about feeling), and with these two awakened centers, we now start to decide HOW we want to act. The 3rd chakra is about doing. It’s also known as the “seat of our personal power” or … the solar plexus in medical terms. This name “solar plexus” is interesting. The formal, scientific name of this region, around the navel, is known as the “celiac” or solar plexus because of its intensely radiating nerves fibers. Wikipedia talks of “getting the wind knocked out of you” if one is hit here. If you’ve ever experienced that (I have!) you know how life-or-death it seems at the time. Not being able to breathe is very frightening. When there’s a blow in this region all the nerves from this region go into spasm, making the diaphragm not able to function, making breathing next to impossible. In time, however, this stressful situation dissipates. Unless, of course, you happened to have been Houdini who died from a blow to this region. He’d dared a young man to hit him in his rock-hard stomach, to prove how strong he was, but Houdini didn’t have time to prepare, the story goes. The young man was a little too anxious to prove the older man wrong, I guess. Houdini died shortly after receiving the invited, witnessed blow. So … even if you’re an escape artist and theatrical showman, don’t go messing around with damaging your solar plexus and expect to not pay an extremely high price. If you’ve ever felt another kind of “blow” here … a “kick in the gut” … usually it’s because someone said or did something terrible to you, hurting your feelings more than ordinary. If this has happened, you know what the 3rd chakra region is all about already, and how powerfully it is connected to our self esteem, our self-image, and indeed, our life’s happiness. Do you remember hearing people saying, “Own your own power!” when they felt you were being too soft of a pushover? Or you had been taken advantage of? Of course you do! This “power” refers to the energy associated with this 3rd chakra, your own personal power. What makes you, you. This seat of your own power is felt when you’ are either well acquainted with, and heeding, your own needs, or you’re in complete denial of them. Let me explain further. If you’re someone who’s used to letting other people decide for you, you haven’t yet grasped the awakening of this chakra’s powerful energy to give your life more happiness. When you know what you want, and have self confidence enough to act on your own principles, desires, and needs — this is when you’re engaging the full power of this chakra. Earlier in my youth I did something that really displeased my parents. At the time they were still paying my bills. I was twenty, and just “owning” that I was meant to be an artistic person, not the lawyer or teacher, or other kind of white collar person my folks saw for my future. I announced to them that I had changed my life. Without their permission I’d gone from a regular college to a prestigious art school, after getting accepted there unexpectedly based solely on my artistic merits. To top it off, I’d moved in with an artist boyfriend! My parents were furious (this was back in the sixties when living together wasn’t what young lads and lassies were supposed to do, not without some kind of formal engagement, that is). And being an artist! My parents thought a complete waste of time. My parents officially “dis-owned” me. They did this via a phone call. Completely unexpected. My dad read a letter he and my mom had composed. There was no conversation. I was not allowed to have a voice in this matter. At the end of reading the letter my dad said, “do you understand? The letter he’d read said I was no longer their responsibility. They would no longer help me through art school, cover any medical expenses, keep me under their insurance, nor welcome me in their home. I said, “But, Dad, Mom …” and was cut off. “Good-bye,” was all I heard, and the phone line went dead. Immediately, I received a “Kick in my gut!” I doubled over. Couldn’t breathe. Couldn’t stand straight. I lay down, and hoped it would go away. The next day, and the next and onward, it didn’t. My boyfriend helped me to the hospital where no tests revealed anything wrong with me. More tests and X-rays revealed nothing. They scheduled me for exploratory surgery because since that phone call from my parents, I hadn’t been able to stand up straight. I walked around doubled over from the severe pain in my abdomen. The pain seemed to travel around in a radius around my belly button. It was a piercing, acute pain in a very exact spot. But each day, it traveled. Never in the same spot, it radiated all around my navel, one painful spot at a time. I told all this to the emergency room doctors. They had no clue what was going on with me. Just before my surgery date my boyfriend suggested, “Why not try meditation?” He’d been initiated into Transcendental Meditation the year before, and had spent at least an hour a day in meditation, sometimes twice a day. I didn’t know how, or anything about meditation at that time. I just kept quiet when he was sitting quietly in his meditation spot. When Kenny took me to be initiated, I could barely walk up the sidewalk to the TM center. AT that time there was a fee, as there is now. But I didn’t have any money., and Kenny had less; the life of the struggling artist. I hadn’t been able to work at my part-time job since being disowned. My school was out for the summer, and I spent all my time in pain, usually in bed. When I arrived at the TM center I explained my situation. They kindly allowed me to be initiated anyway, saying it was important for me to have relief so the $35 fee was waived. I wonder if they’d say the same in a similar situation today? I’d like to think so. The initiator and I sat, just the two of us, in a calm and peaceful room. The gentle light spilled in through transparent golden curtains. The soft rug on the floor beneath me felt comforting. I wasn’t in pain as long as I didn’t stand up, so in the seated pose, I was alert and ready. Wondering. Hopeful. Desperate. Wanting to change from being in pain, to pain free. The initiator began mumbling words I didn’t know. Doing things I only vaguely remember. Performing some ritual. There were grains, and colorful objects, a bell tinkled, and the potted plant I had been asked to bring (I don’t like cut flowers) was put in front of us, as an offering. Then he gave me “your sacred sound” to repeat. I won’t share it as I was told not to. But as soon as I started repeating that sound I was told was “your special mantra” — something magical happened! My head filled with WHITE LIGHT! It felt like I’d been struck by lightning, it was that fierce, that sudden, that fully encompassing. My mind was filled with this white LIGHT and all around me … everything stopped. I didn’t know anything. I wasn’t me. I was the Light. Whatever happened in those ensuring minutes, or moments, or hours — I have no recollection. All I remember is the Light. When I finally “came to” from whatever happened to me, I was alone in the golden lit room. I have no idea how much time passed. Slowly I realized … no one was coming for me. I unwound my crossed legs, and stood up — and realized — I had no pain. I took a step. No pain! I walked to the door, and again, realized — the pain was completely gone. Disappeared! Not a trace of it could I feel. I touched my belly. It was really truly, magically — gone! And it never returned, ever again. Of course since this event, modern medicine has completely reversed its once “body only” stance on what affects us, mentally, physically, and emotionally. Today the great Harvard trained doctor, Andrew Weil, well known to many as “America’s holistic doc” or even the real Mr. Natural … started the Medical School of Integrative Medicine in Arizona, some twenty years ago now. So, how can you own your own power? By paying attention to how “your gut” feels when you do something, or when you don’t do it. This seat of our 3rd chakra energy, will send psychic messages (through actual nerves that gets stimulated, there’s no magic here, folks) when you are comfortable with what’s going on in your life, or not. If you like what’s happening, you’ll have a feeling of well being. If something’s happening that upsets, or throws you off, you will feel a disruption (kick!) to the nerve sensations around your navel. This is not rocket science, and this is not hocus pocus. This is real energy that works for all of us. In yoga we call this energy center where our personal power resides, the 3rd chakra because, first your energy must go through the 1st and 2nd levels of consciousness. 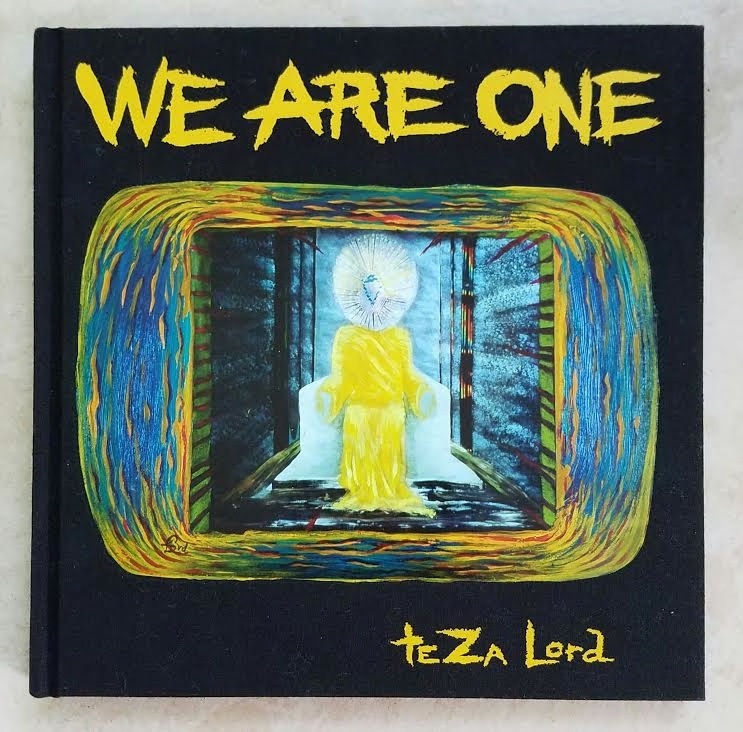 If you want to know more, read my other posts explaining how the energy of each of us becomes more elevated, the more we become aware of each individual seat of power. Here’s the 2nd chakra post and here’s the 1st chakra post. Each week I’ve been posting, first, quite extensively about each particular energy center; and then I follow up with a shorter post with an example of how the energy works in our lives. For a person whose 3rd chakra is “shut down” or not “awakened” or not in balance, a person will feel very out of sorts in that region, located around the navel. Some people will feel the discomfort radiate painfully around the navel (as I did). Some, will experience pain in only one location. If you do feel this discomfort, please FIRST go visit a doctor right away and check out that there’s nothing wrong with your GI tract, or your liver, kidneys, and other organs located around there. If you receive an okay, please don’t despair. Know that your spiritual body is sending you a psychic message (kick!) that something is out of whack in your life. When you start asking yourself, “What can I do to make myself more comfortable?” you have reached the first step of … transformation. Of course there are many people who never feel anything’s wrong with their life, and they’re perfectly content to let sleeping dogs, or numbed feelings of unhappiness, lie within forever. But guess what? They’re not the kind of folks who read Lord Flea … where we sing as ONE. Now, are they? Please leave me a word or two below so we can connect! I’m soon sending out sound clips of not-quite-meditations, more like mindful-thinking hints. Awareness nibbles. If you leave your email below in the comments section, I’ll gladly put you on my mailing list and you’ll soon receive these audial gifts! Thanks.